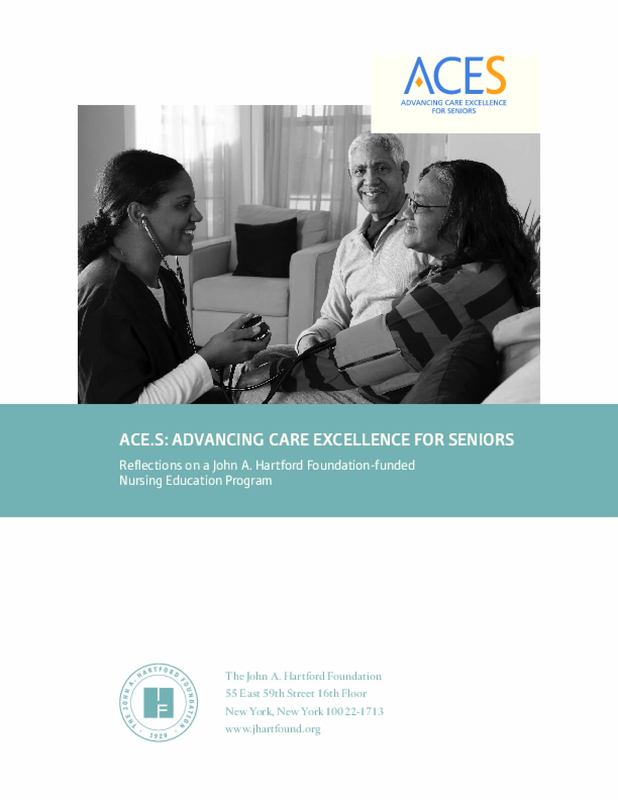 This brief will describe the work and assess the impact of the NLN Advancing Care Excellence for Seniors initiative, or ACE.S, which the John A. Hartford Foundation supported from 2009 to 2012. ACE.S was the first national effort to prepare students in all pre-licensure nursing programs, including associate degree programs, to deliver high-quality care to older adults in a variety of settings, by providing new educational opportunities, teaching tools, and other resources to help pre-licensure nursing faculty offer geriatric content and understanding to their students. Copyright 2015 by The John A. Hartford Foundation. All rights reserved.